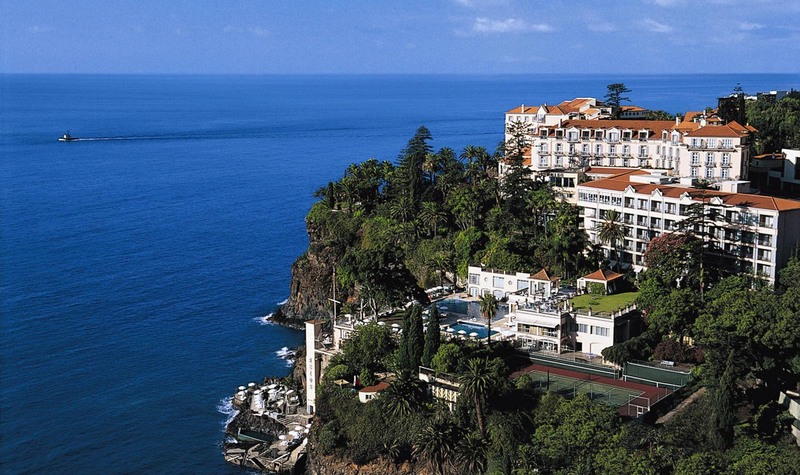 Portugal (UK English pronunciation: /ˈpɔːtʃʊɡl/; Portuguese: Portugal, IPA: ), officially the Portuguese Republic (Portuguese: República Portuguesa), is a unitary semi-presidential republic. It is located in South-Western Europe, on the Iberian Peninsula, and it is the westernmost country of mainland Europe, being bordered by the Atlantic Ocean to the west and south and by Spain to the north and east. 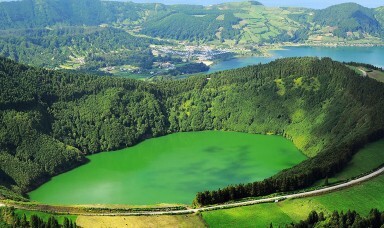 Aside from continental Portugal, the Portuguese Republic holds sovereignty over the Atlantic archipelagos of Azores and Madeira, which are autonomous regions of Portugal. 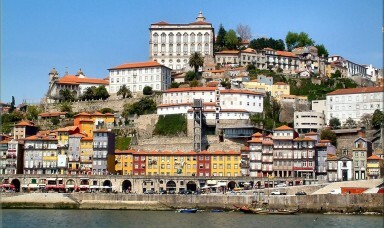 The country is named after its second largest city, Porto, whose Latin name was Portus Cale. 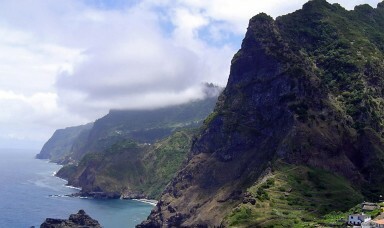 Portugal’s highest peak is the similarly named Mount Pico on the island of Pico in the Azores. This ancient volcano, which measures 2,351 m (7,713 ft) is an iconic symbol of the Azores, while the Serra da Estrela on the mainland (the summit being 1,991 m (6,532 ft) above sea level) is an important seasonal attraction for skiers and winter sports enthusiasts. 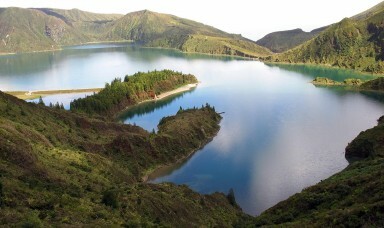 Portugal’s Exclusive Economic Zone, a sea zone over which the Portuguese have special rights over the exploration and use of marine resources, has 1,727,408 km2. 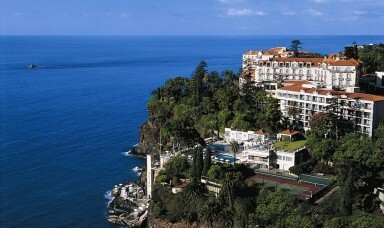 This is the 3rd largest Exclusive Economic Zone of the European Union and the 11th largest in the world. 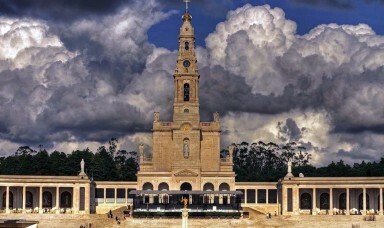 The Instituto Nacional de Estatística (Portuguese: National Institute of Statistics) estimates that, according to the 2011 census, the population was 10,562,178 (of which 52% was female, 48% was male). 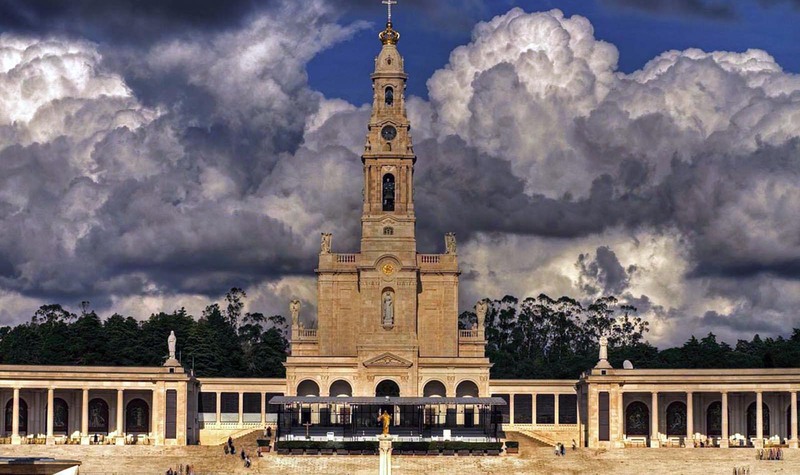 This population has been relatively homogeneous for most of its history: a single religion (Catholicism) and a single language have contributed to this ethnic and national unity, namely after the expulsion of the Moors, Moriscos and Sephardi Jews. 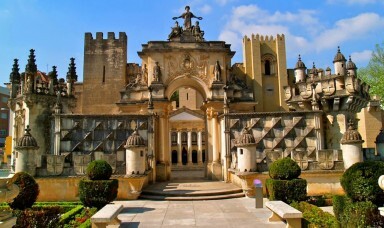 A large number of Moors and Sephardic Jews, nevertheless, stayed in Portugal, under the condition that they converted to Catholicism, and afterwards they were known as Moriscos (former Muslims), New Christians or Marranos (former Jews) some of whom may have continued to observe rabbinic Judaism in secret. After 1772 the distinction between Old and New Christians was abolished by decree. Some famous Portuguese New Christians were the mathematician Pedro Nunes and the physician and naturalist Garcia de Orta. Former Portuguese President Jorge Sampaio is a Sephardic Jew through his maternal grandmother, though as an agnostic, he doesn’t practice any religion. The total fertility rate (TFR) as of 2013 was estimated at 1.51 children born/woman, which is below the replacement rate of 2,1. In 2012, 45.6% of births were to unmarried women. Like most Western countries, Portugal has to deal with low fertility levels: the country has experienced a sub-replacement fertility rate since the 1980s. 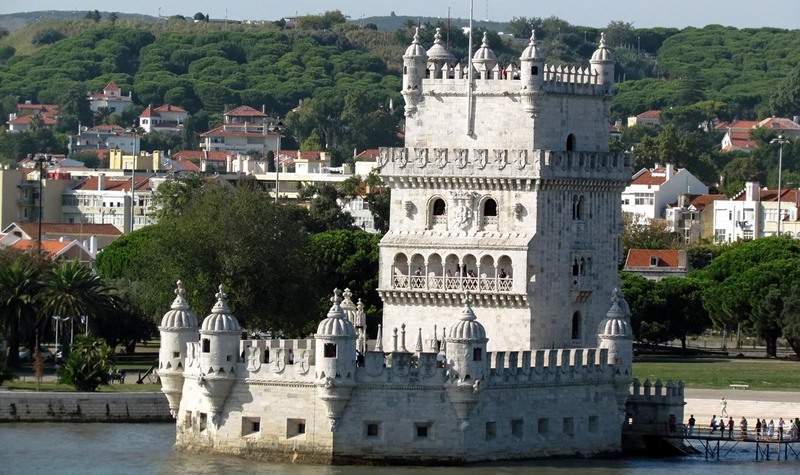 The Portuguese currency is the euro (€), which replaced the Portuguese Escudo, and the country was one of the original member states of the eurozone. Portugal’s central bank is the Banco de Portugal, an integral part of the European System of Central Banks. Most industries, businesses and financial institutions are concentrated in the Lisbon and Porto metropolitan areas—the Setúbal, Aveiro, Braga, Coimbra and Leiria districts are the biggest economic centres outside these two main areas. Since the Carnation Revolution of 1974, which culminated in the end of one of Portugal’s most notable phases of economic expansion (that started in the 1960s), a significant change has occurred in the nation’s annual economic growth. 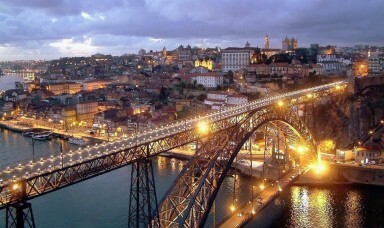 After the turmoil of the 1974 revolution and the PREC period, Portugal tried to adapt to a changing modern global economy, a process that continues in 2013. Since the 1990s, Portugal’s public consumption-based economic development model has been slowly changing to a system that is focused on exports, private investment and the development of the high-tech sector. Consequently, business services have overtaken more traditional industries such as textiles, clothing, footwear and cork (Portugal is the world’s leading cork producer), wood products and beverages. 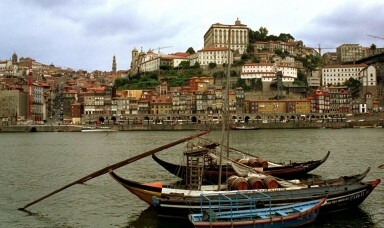 In the second decade of the 21st century the Portuguese economy suffered its most severe recession since the 1970s and 2013 was the final year of a three-year European Union aid program. It is anticipated that the conclusion of the EU’s support package, worth €78 billion, will leave Portugal with a €12 billion funding gap in 2014. 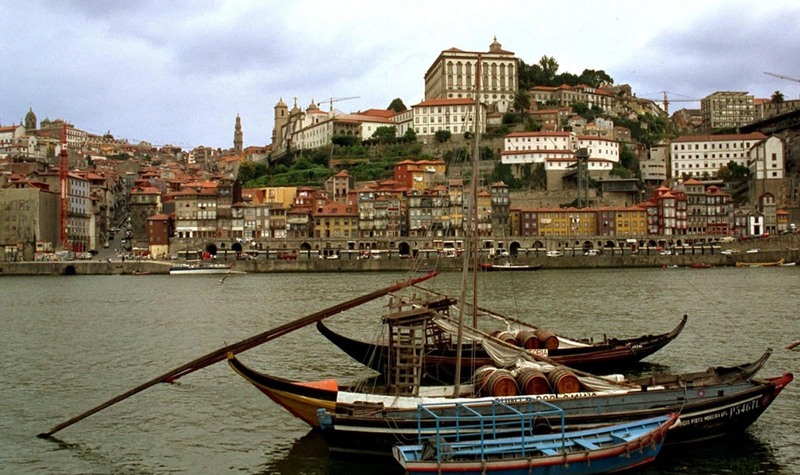 Forecasts from the EU and the International Monetary Fund (IMF) predicted that the Portuguese unemployment rate will peak in 2014 at 18.5 per cent. Portugal has developed a specific culture while being influenced by various civilizations that have crossed the Mediterranean and the European continent, or were introduced when it played an active role during the Age of Discovery. In the 1990s and 2000s (decade), Portugal modernized its public cultural facilities, in addition to the Calouste Gulbenkian Foundation established in 1956 in Lisbon. These include the Belém Cultural Centre in Lisbon, Serralves Foundation and the Casa da Música, both in Porto, as well as new public cultural facilities like municipal libraries and concert halls that were built or renovated in many municipalities across the country. Portugal is home to fifteen UNESCO World Heritage Sites, ranking it 8th in Europe and 17th in the world.